After 15 years, 12 albums, and five record labels, classically-trained pianist/singer-songwriter Fernando Ortega contuines to make beautiful, inspirational music that follows his family's long tradition of artistic talent. His ancestors were artisans and weavers and helped shape him into the articulate and creative musician that he is today. This year, Fernando Ortega is nominated for three Dove awards: Male Vocalist of the Year, Inspirational Song of the Year, and Long Form Video of the Year. At the heart of his appeal is a complex combination rare in contemporary Christian music-Ortega is a storyteller, worship leader, artist and vocalist of unparalleled talent. As a vocalist, he has been described by critics as gifted, unusually engaging, and refreshingly original. As a worship leader, he has established himself as a champion of the classic hymns of the church, insisting that our praise needs to carefully balance experiential and theological reflection. 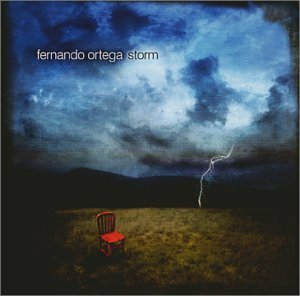 And as a story-teller, Fernando Ortega has written and recorded songs that are both unnervingly intimate and universal in appeal, lifting listeners both into and beyond themselves, moving them into stark personal reflection, joyful adoration, and praise. 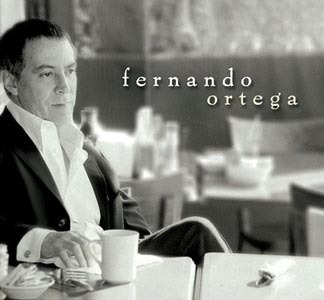 His most recent release, "Fernando Ortega," debuted on August 10, 2004. This was his first release on Curb Records. The results surprised Ortega almost from day one: "What we ended up with is more stripped down, more punchy, than anything else I've done. The vocals are a little more out; I sang more than I had in the past." Through all the years of writing and performing, how have those processes evolved over time? "I think my style has really evolved. It's a way softer approach to singing, a gentler approach to singing than I used to have. My first record was called In a Welcome Field, and it's pretty funny because it's all these power ballads that have electric guitars and choruses cranked up real big, and it has lots of background vocals and larger stuff in the background. It's almost like Richard Marx or something along those lines. It's really taken a lot more of a folk kind of turn over the years." Who were your early music influences? "There are a few really key influences. One was a piano teacher I had named Ralph Burkowitz. He taught me a lot about refinement, a whole lot about subtlety and my approach to the piano, about building phrases, and about lines in music and how interweaving lines run through a song and how to sustain a line." "Another was a fiddle player I played with, a woman named Sharene Taylor. Now she's a principle second violin at the Metropolitan Opera. You can learn a lot just by hearing a violin player play. You learn a lot about the length of phrases and where things grow and where things breathe and all that." "Then John Schreiner is a friend of mine who produces all my records. He's a frequent song collaborator. I'd say he's a really big influence on the way I think about songwriting." 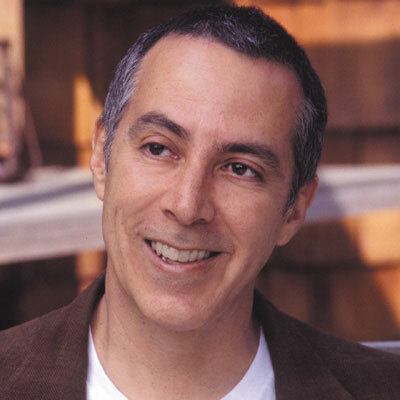 "There are two other huge influences-my neighbors, Peter Morrison and Elaine Rubenstein. Aside from the fact that they taught me a lot about the power of words, I also learned about how to write songs where you're not trying to tell the listener how to feel, but in some cases you're just making observations about what you see. It requires skill. It requires thought. It's not just writing what you see and what your experience of a situation is. There's a way of writing that allows listeners to experience it for themselves. You have to say things in a universal way. They helped me a lot with lyric writing on that level, but also they turned me on to a whole lot of really good music that I didn't know about back then. Their CD collection is immense. A major turning point in Fernando Ortega's carrer was in 1999 when he was able to tour for the first time with a band. Consequently, he was away from home a lot that year. In 2000, he realeased "Home," on Myrr Records. At that time, it was said to be his most musically diverse album of his career. "I missed being home a lot this past year," says Ortega. "And so several of the songs reflect that, along with the recognition of God's goodness and kindness in giving me a place I can call 'home.'" 2003 - Billboard Latin Music Award for Storm - Dove Award nomination for "Inspirational Album of the Year" (Storm). 2002 - Dove Award nomination for "Spanish Language Album of the Year" (Camino Largo). 2001 - Dove Award for "Inspirational Album of the Year" (Home) - Dove Award nomination for "Male Vocalist of the Year" - Dove Award nominations as Artist and Songwriter for "Inspirational Recorded Song Of The Year" (This Good Day"). 2000 - #1 Inspirational Song of the Year, "This Good Day," Christian Research Report (CRR) - #4 Inspirational Song of the Year, "No One Else," CRR - Dove Award nominations as Artist and Songwriter for "Inspirational Song of the Year" for "Jesus, King of Angels" - Dove Award nomination for "Male Vocalist of the Year" - Dove Award nomination for "Songwriter of the Year" - Dove Award nomination for "Song of the Year" for "Jesus, King of Angels". 1999 - #1 Inspirational Song of the Year, "Jesus, King of Angels," CRR - #4 Inspirational Song of the Year, "Creation Song," CRR - Dove Award nomination for "Inspirational Album of the Year" (The Breaking of the Dawn). 1998 - Dove Award for "Children of the Living God," (This Bright Hour) - Dove Award nomination for "Inspirational Album of the Year" (This Bright Hour). Ortega's "Live in St. Paul" DVD was released October 12, 2004. The DVD includes performances of tracts from various records, as well as four bonus tracts. There are also special features that include a commentary from Fernando himself. Fernando's song "Traveler" off his album Storm has been included in a movie starring Dave Matthews. The movie "Where The Red Fern Grows" is out on DVD now.